THE WICKED WILL RISE is the second installment in the Dorothy Must Die series, so I’m going to tread lightly. But I can say, with no hesitation, that if you haven’t read the first, DOROTHY MUST DIE, then you’re missing out. Why? Because it’s freaking awesome. And THE WICKED WILL RISE absolutely delivered as a sequel, so you should probably get on it. Like now-ish. 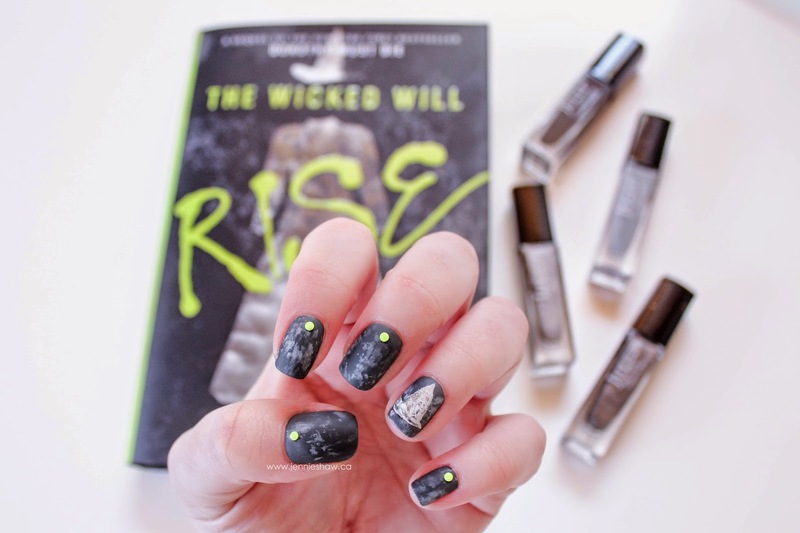 And, as you can see, because I loved the story and the cover so much, I had to do a tribute mani. What I loved most about the cover was the use of matte and shine. The dress and hat were glossy, along with the lettering, but the background was matte. So freaking cool! 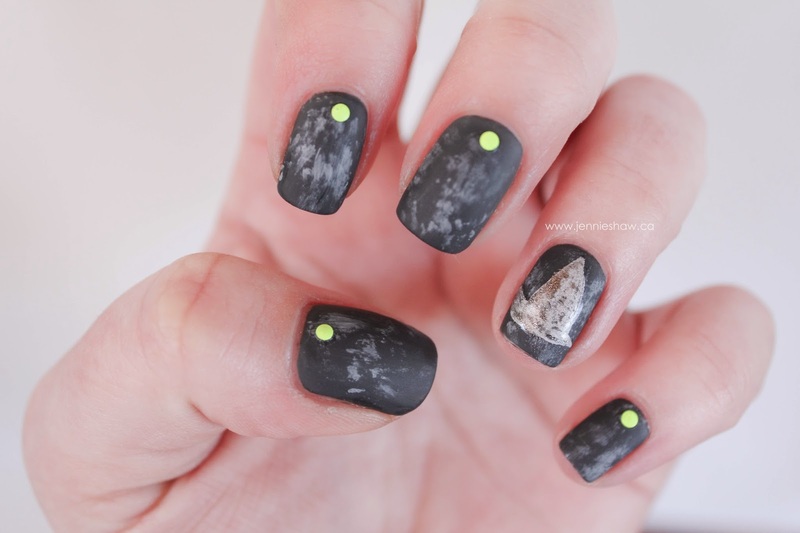 I tried to recreate that with my mani. The only part with glossy top coat is the hat. So here’s the non-spoilery deal with this series: Amy, the second Kansan to arrive into Oz (after Dorothy herself) has to kill Dorothy because she’s turned evil and pretty much ruined the magical kingdom. For the second installment, THE WICKED WILL RISE, the battle continues, and Amy has to collect the Tin Woodman’s heart, the Scarecrow’s brain, and the Lion’s courage, while avoiding being murdered by a whole plethora of enemies. To answer your next question: yes. This series is bloody. But I like bloody (sort of—when it’s done right, which it is here). It’s certainly not gratuitous, though, and considering how evil all the original good guys and gals are, it could have been way worse. But this is YA, so it’s appropriately dark. 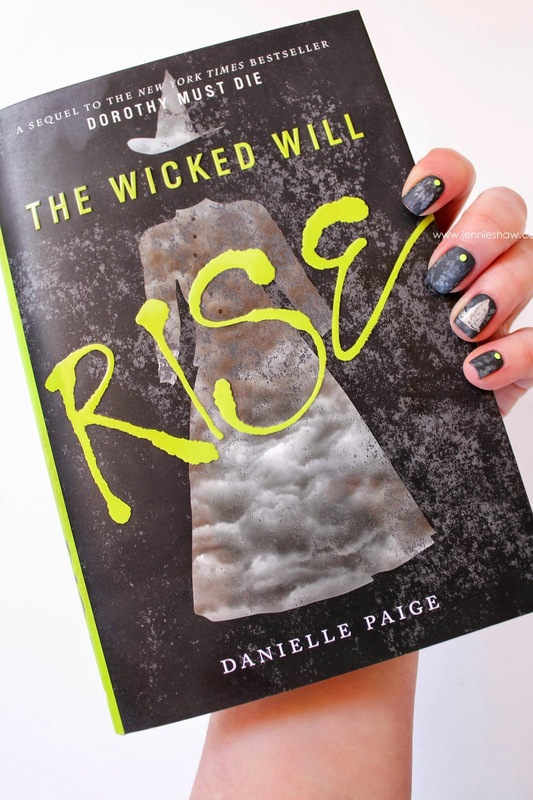 THE WICKED WILL RISE’s pace wasn’t as quick as the first, so I'll admit I was slightly disappointed, but the appearance of a new character balanced it out. I'm not going to spoil it for you, but rest assured, she's fabulous. And not just because of her super fun accessories. She's got some bite to her too. Literally. Haha! I would have liked a little more character growth from Amy, as there were a couple of scenes that made me think: “not this again,” but since she’s a teen, it fits. And all-in-all, it’s still a fun read, as strange as that sounds, given the subject matter. Ha! There’s no doubt I’ll read the next, and the one after that (if there is one). Because Danielle Paige can certainly flip a flip a story on its head, and I can’t wait to see where her imagination takes me next. So if you like dark retellings, then the Dorothy Must Die series is for you!